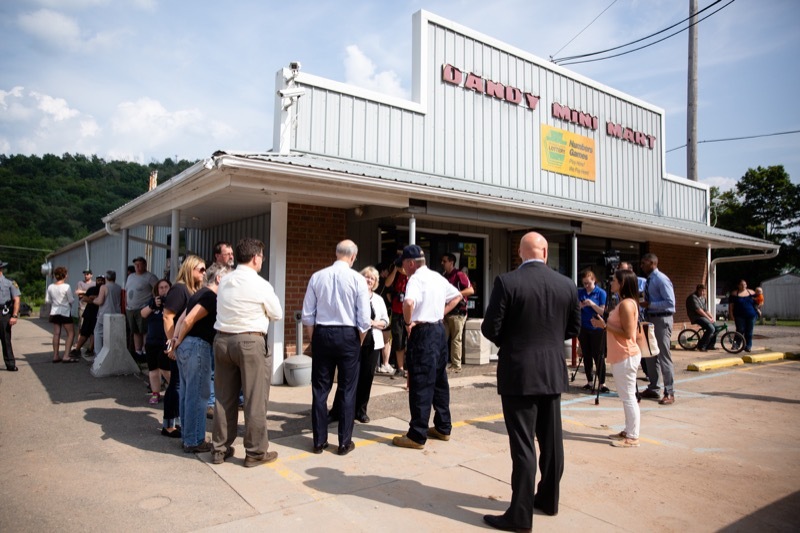 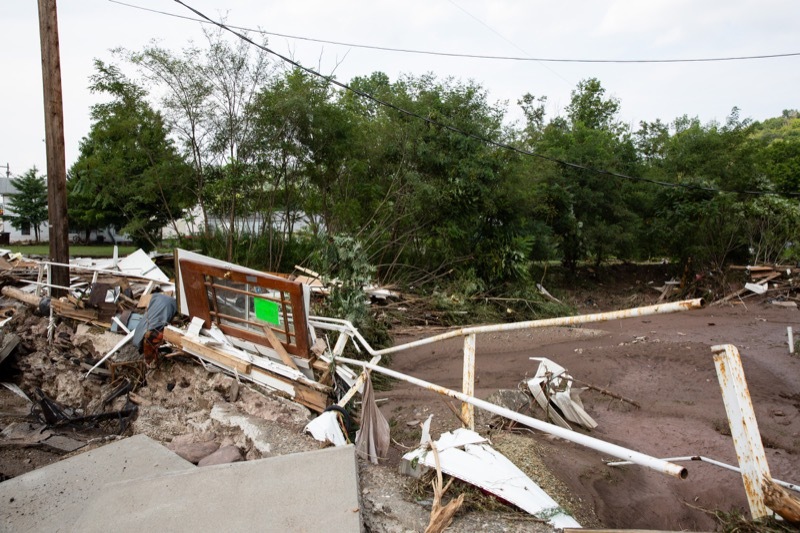 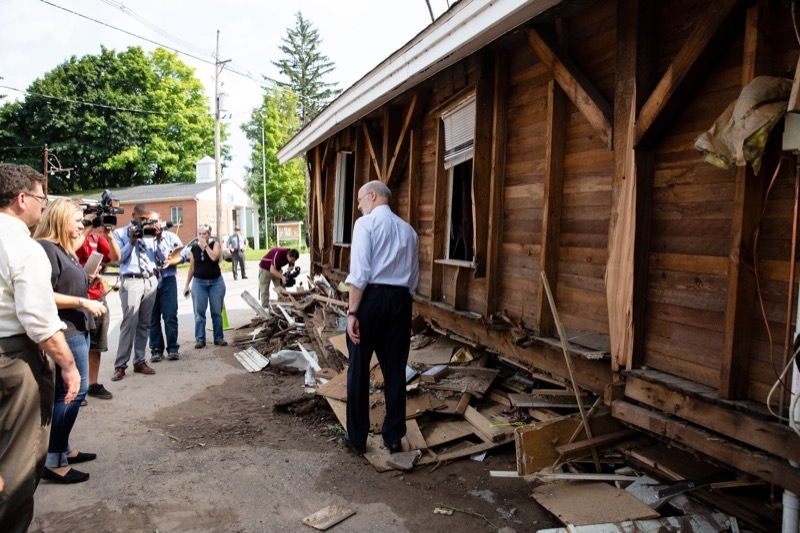 Today, Governor Tom Wolf visited Upper Darby and Darby in Delaware County to tour areas affected by the heavy rains and flooding that swept through the commonwealth over the past few days. 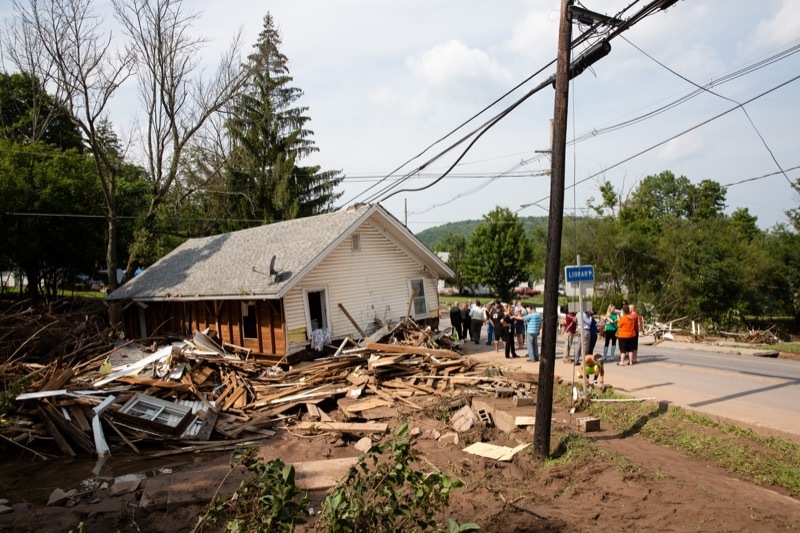 The governor was joined by PEMA Director Rick Flinn, local officials and legislators to see those areas where damage to homes and businesses occurred. 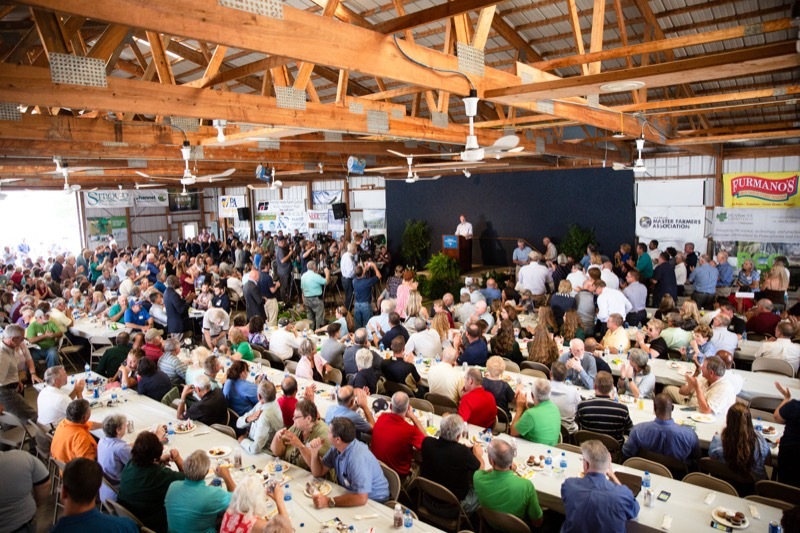 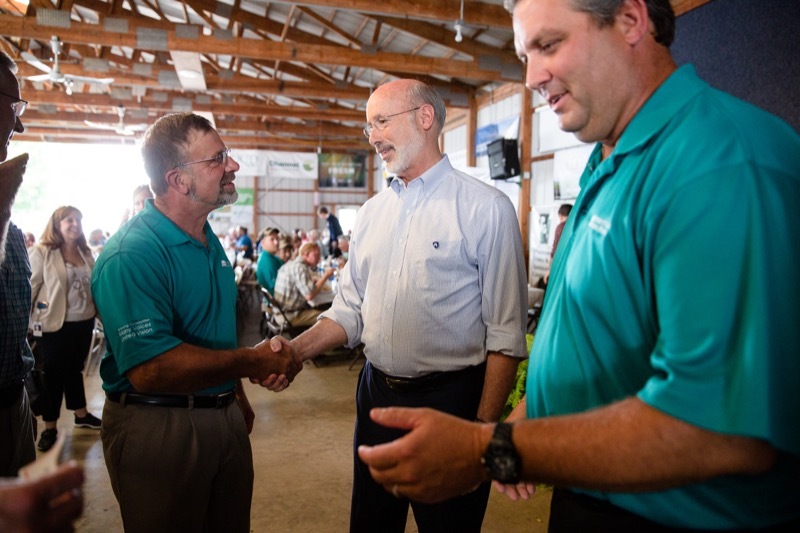 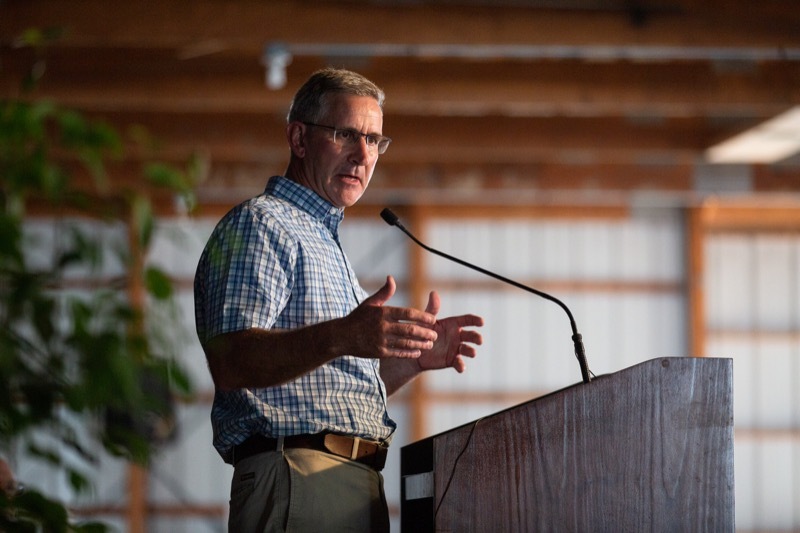 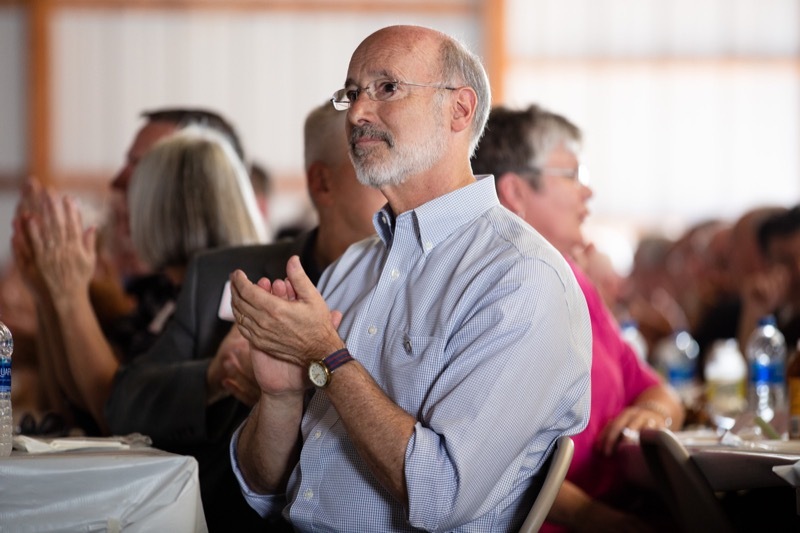 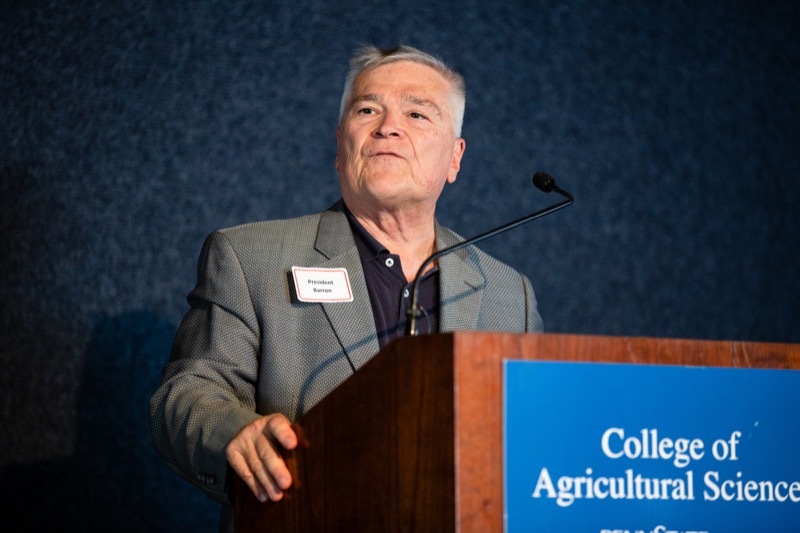 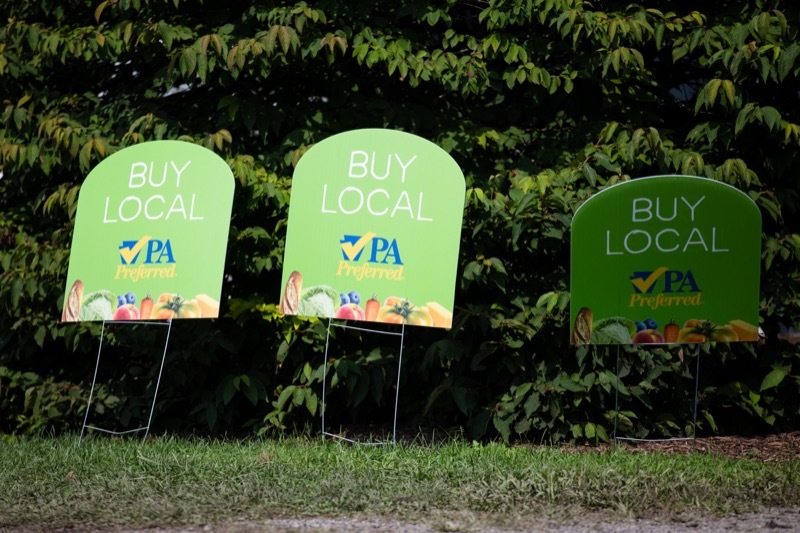 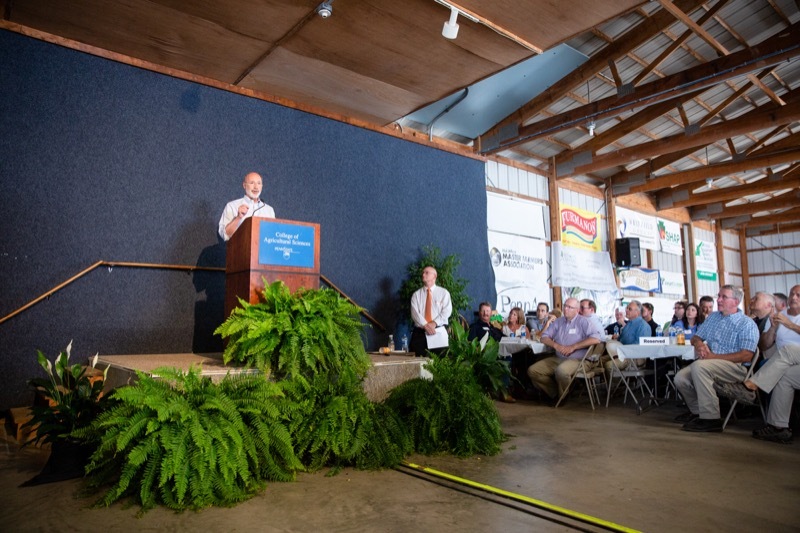 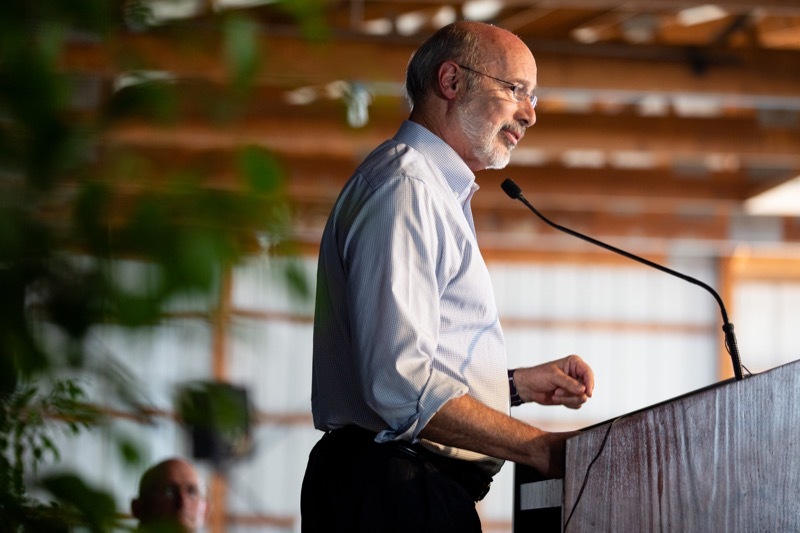 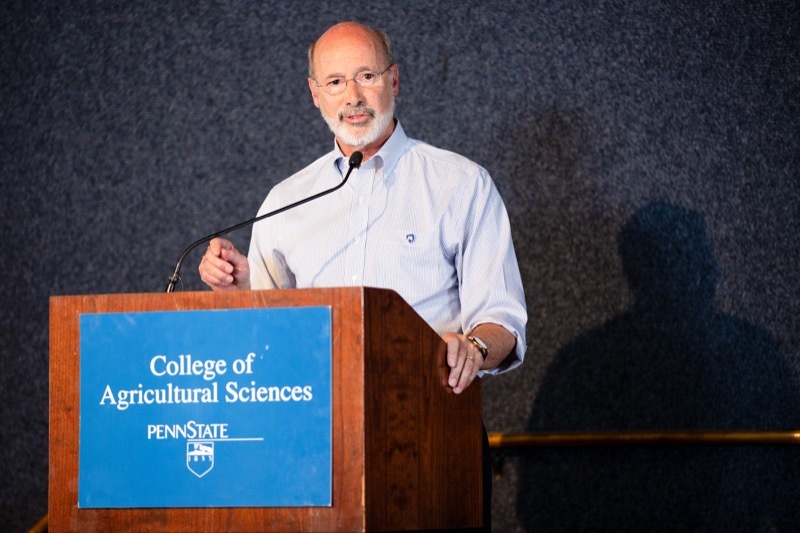 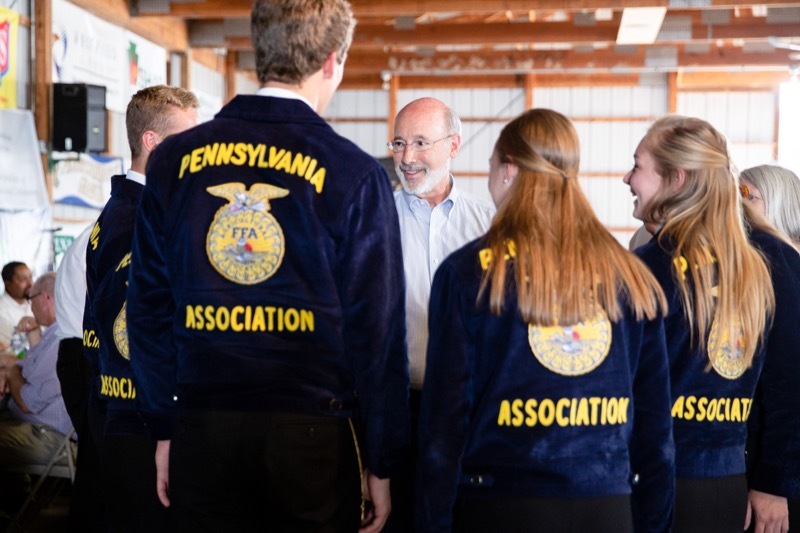 Governor Tom Wolf today outlined his six-point plan to strengthen Pennsylvania's agriculture industry amid a changing marketplace and new pressures during remarks to more than 500 industry leaders at Penn State College of Agricultural Sciences' annual Ag Progress Days event. 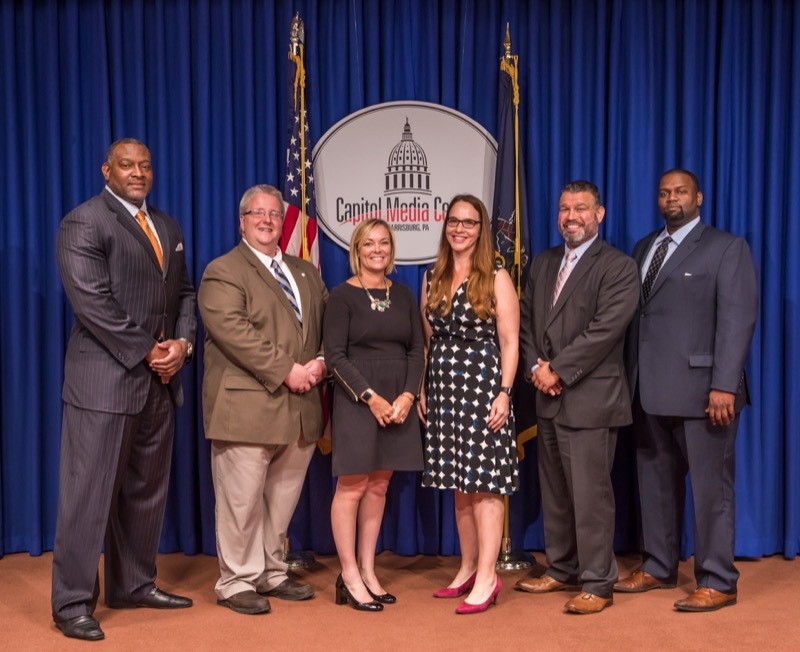 Pennsylvania's new Inter-Agency Election Preparedness and Security Workgroup and county election personnel from across the commonwealth participated today in a first-of-its-kind national and local election cyber exercise organized in collaboration with the U.S. Department of Homeland Security. 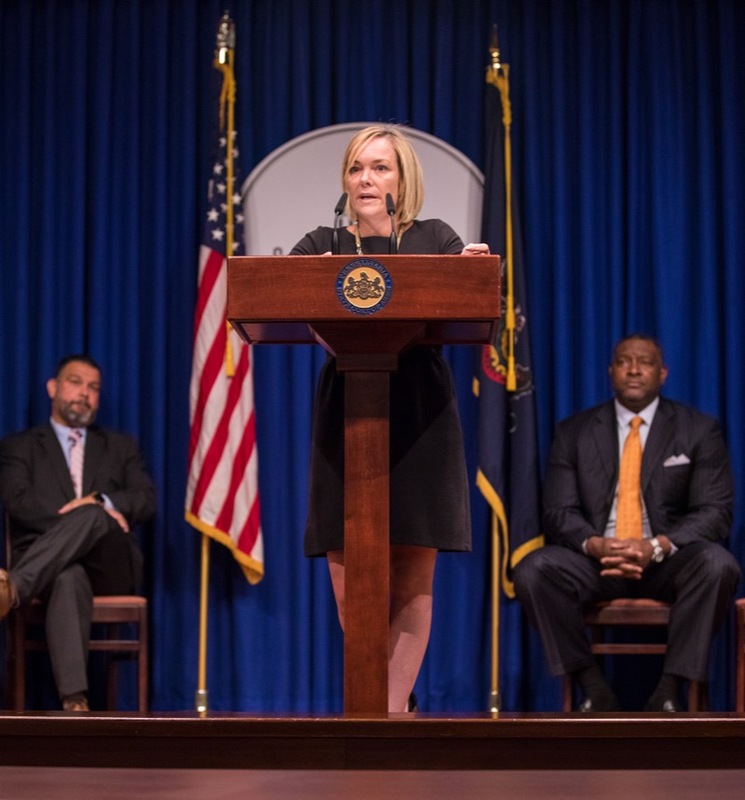 The Pennsylvania Lottery has launched Xpress Sports, a new category of fast-paced games drawn every five minutes. 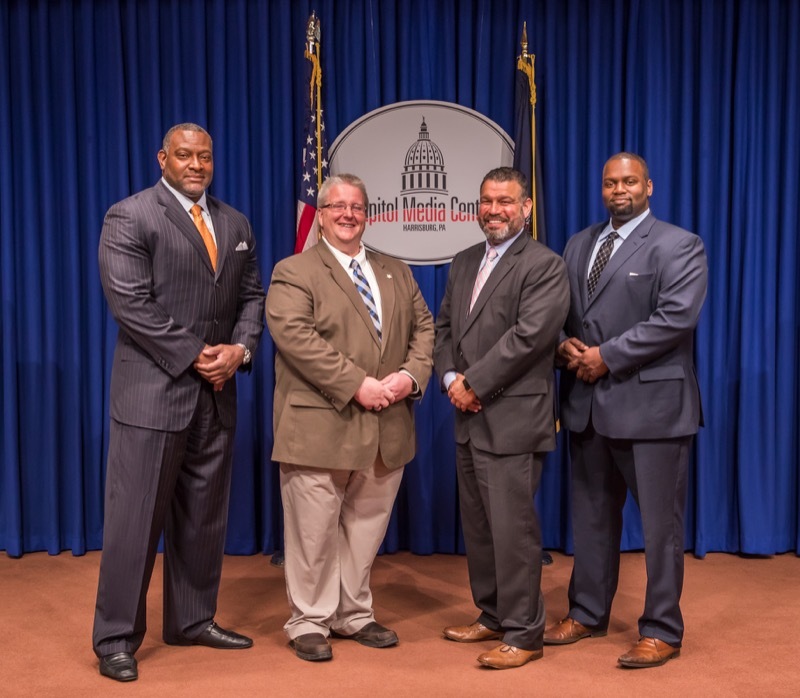 Xpress Football and Xpress Car Racing are now on sale at all Pennsylvania Lottery retailers. 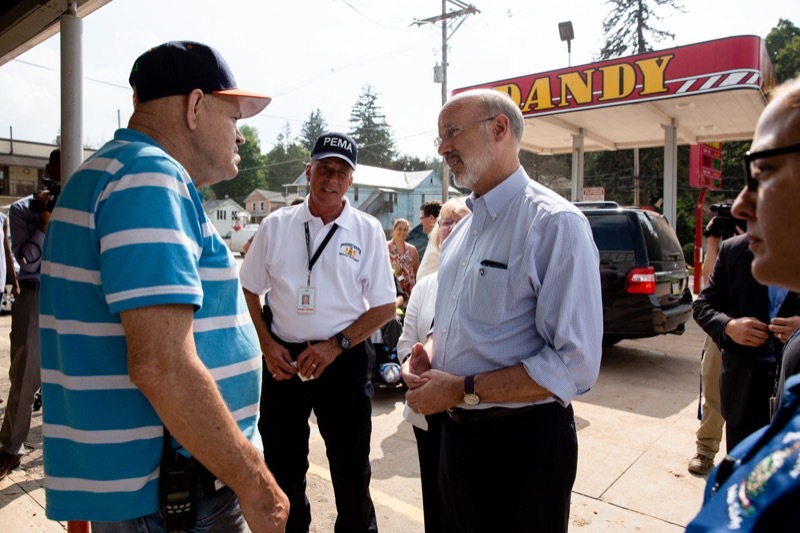 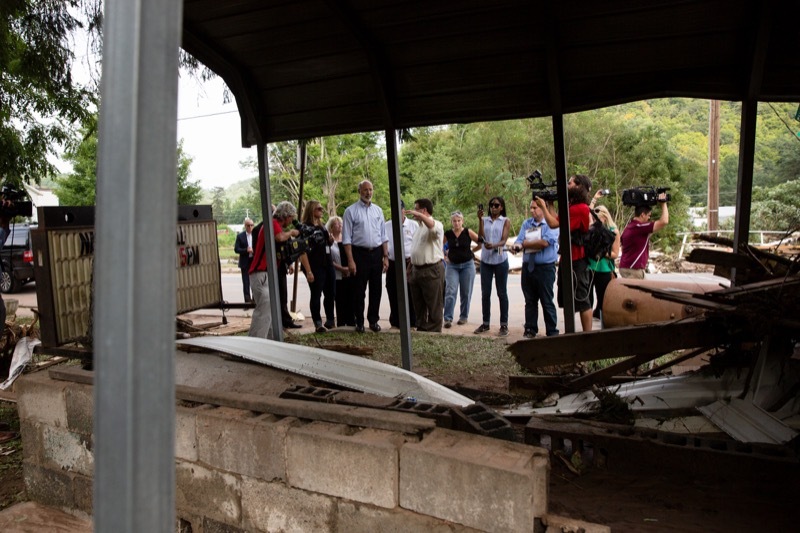 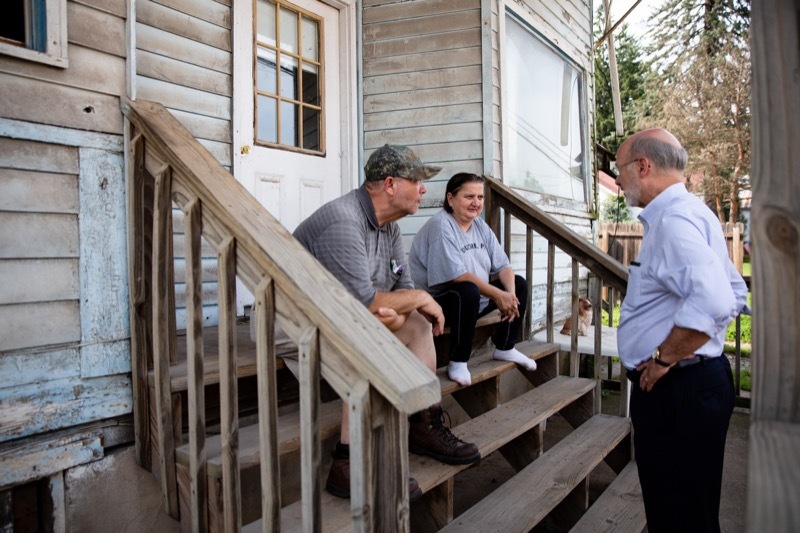 Today, Governor Tom Wolf visited Bradford County to tour some of the areas affected by the heavy rains and flooding that swept through the commonwealth over the past week. 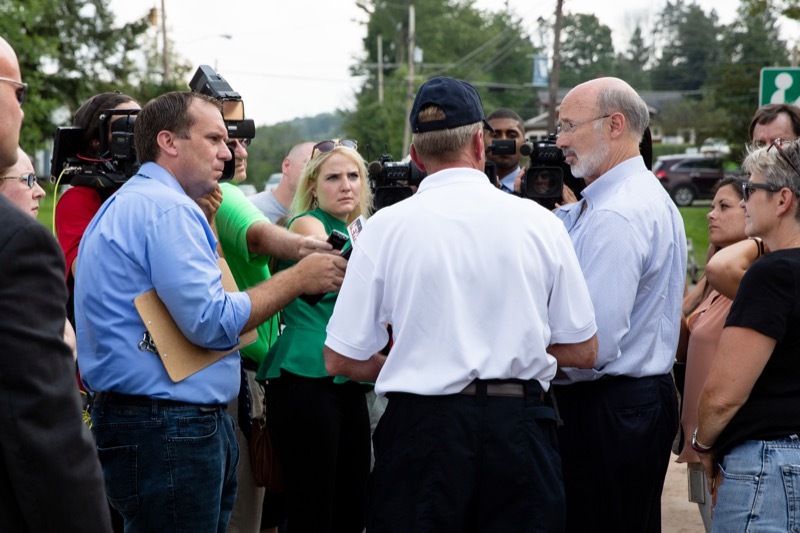 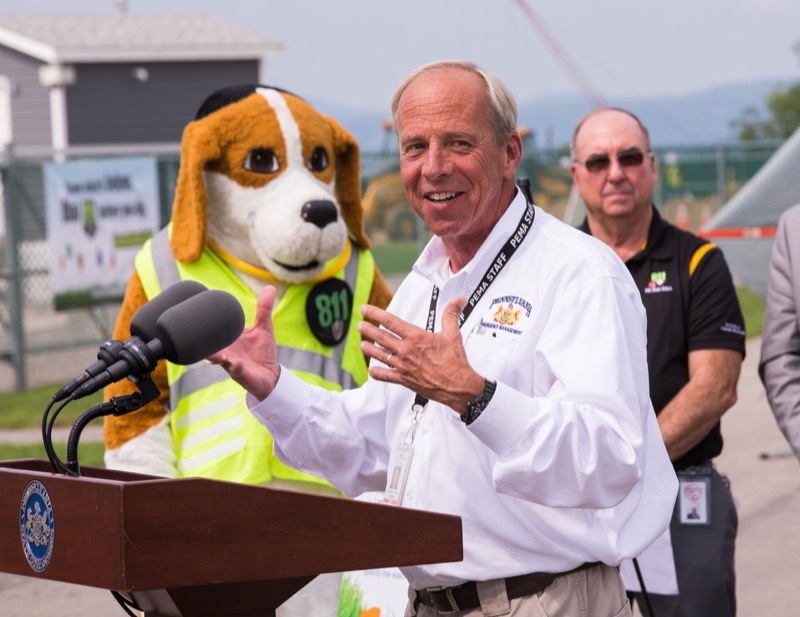 The governor was joined by PEMA Director Rick Flinn and Bradford County officials to see those areas hardest hit in the western portion of the county, including New Albany where damage to buildings and infrastructure from flash flooding was evident. 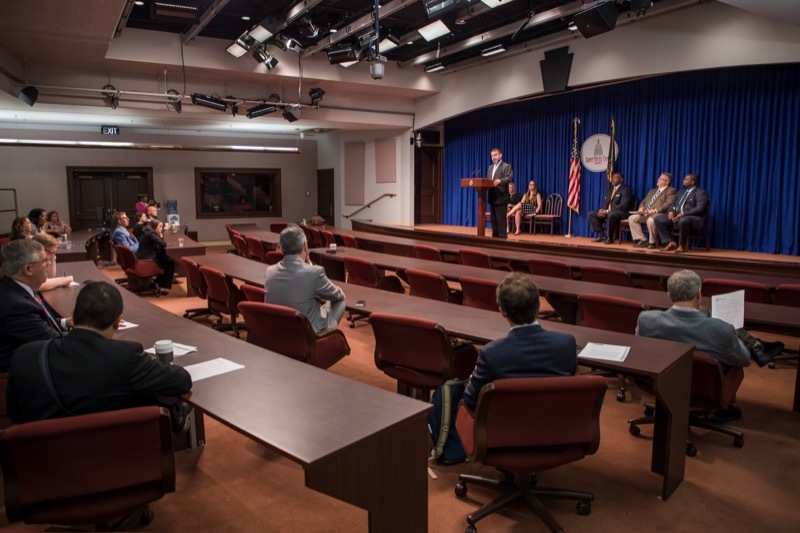 HARRISBURG - Surrounded by survivors of sexual abuse by Catholic priests, Attorney General Josh Shapiro today revealed the comprehensive findings of a statewide investigative grand jury that spent two years uncovering abuse of children by priests, and a systematic cover up spanning decades by senior church leaders in Pennsylvania and the Vatican. 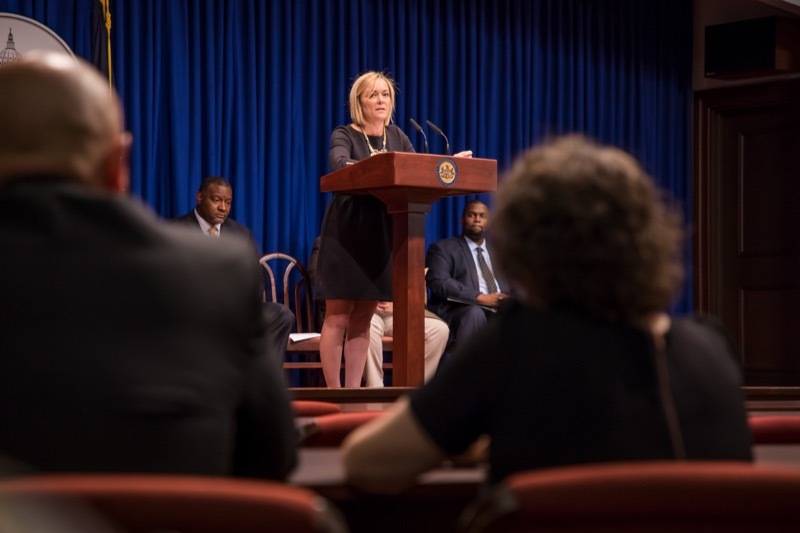 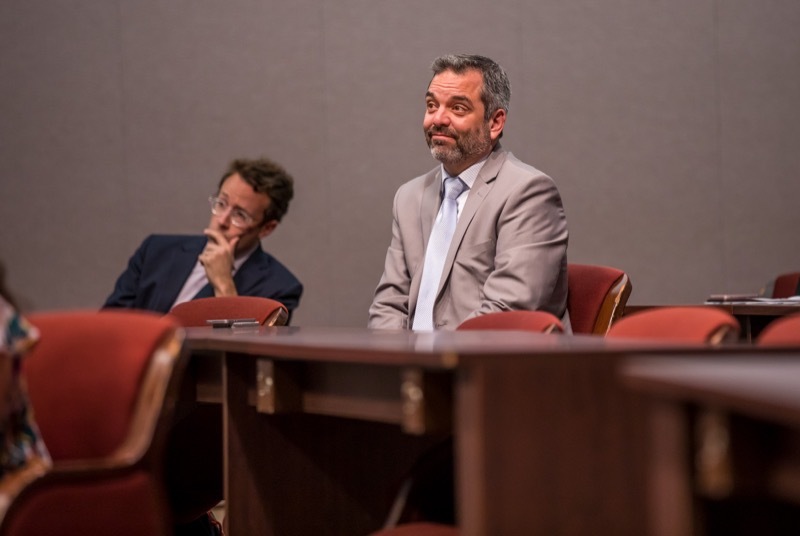 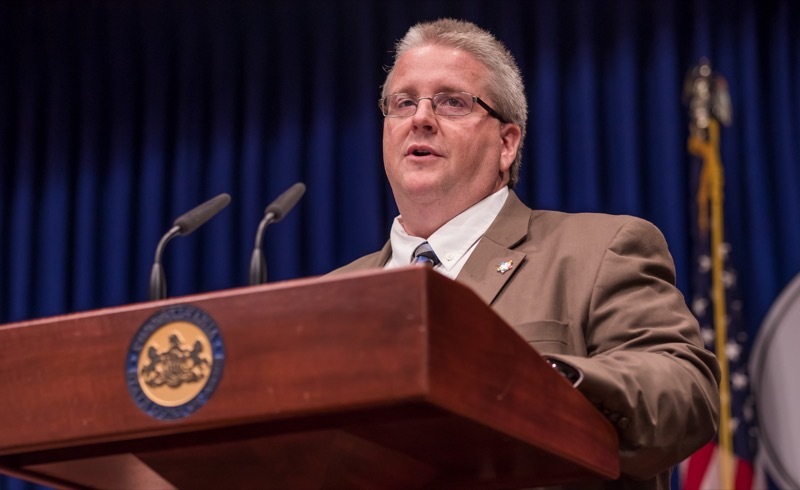 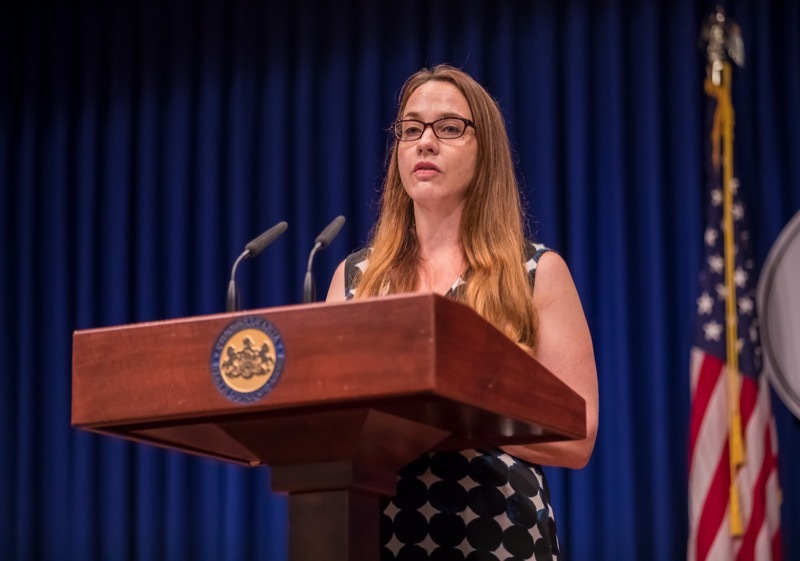 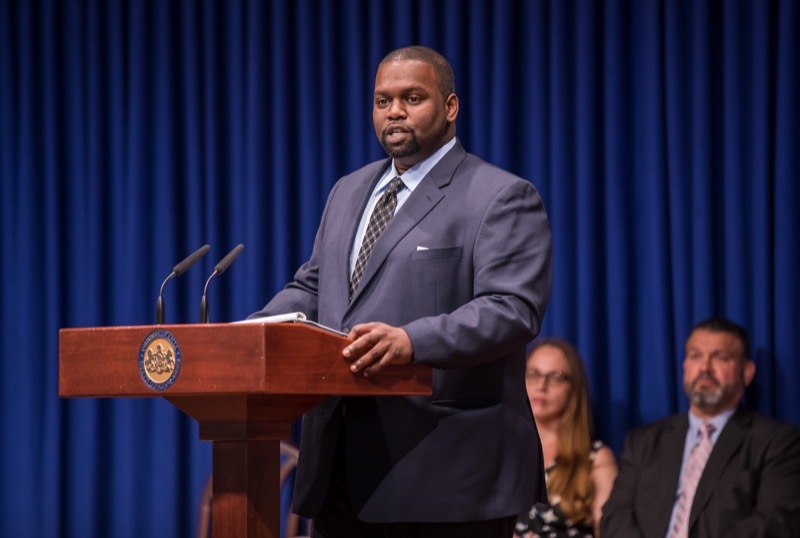 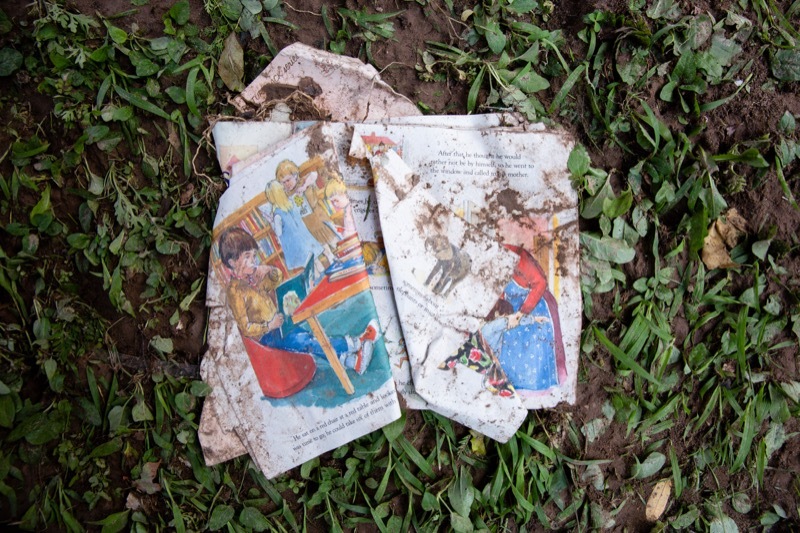 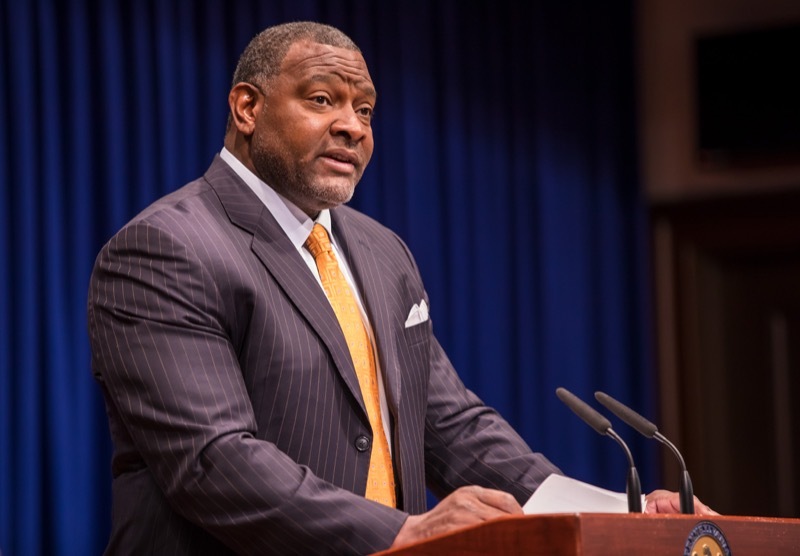 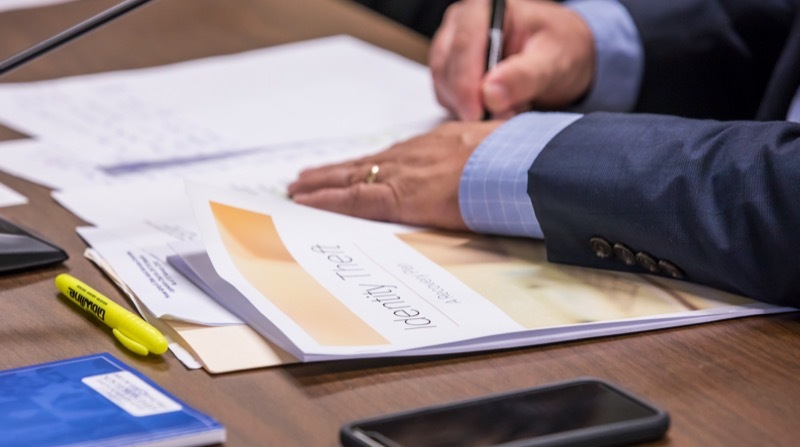 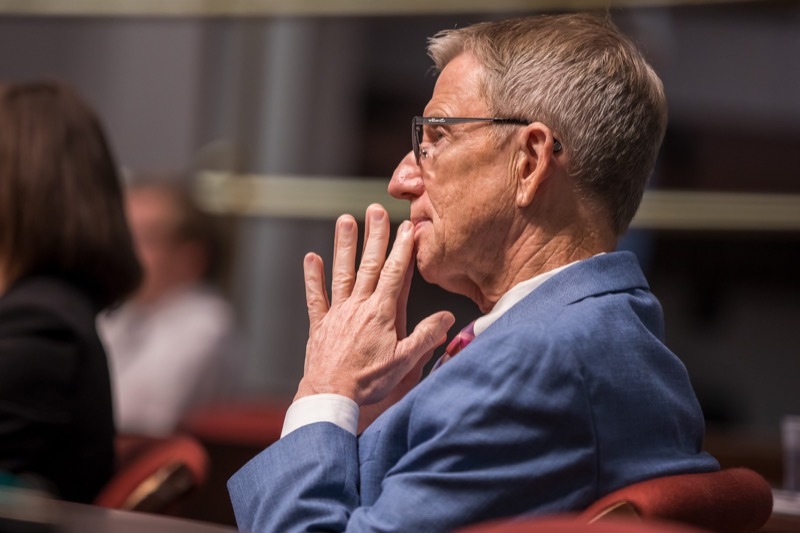 The grand jury recommended reforming the criminal and civil statutes of limitations on sexual abuse in Pennsylvania, among other recommendations, and Attorney General Shapiro called on every Catholic bishop to support the reforms. 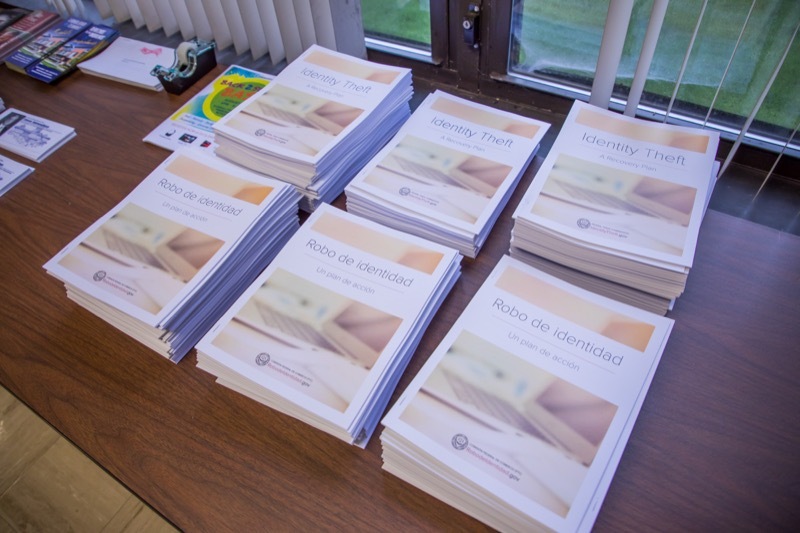 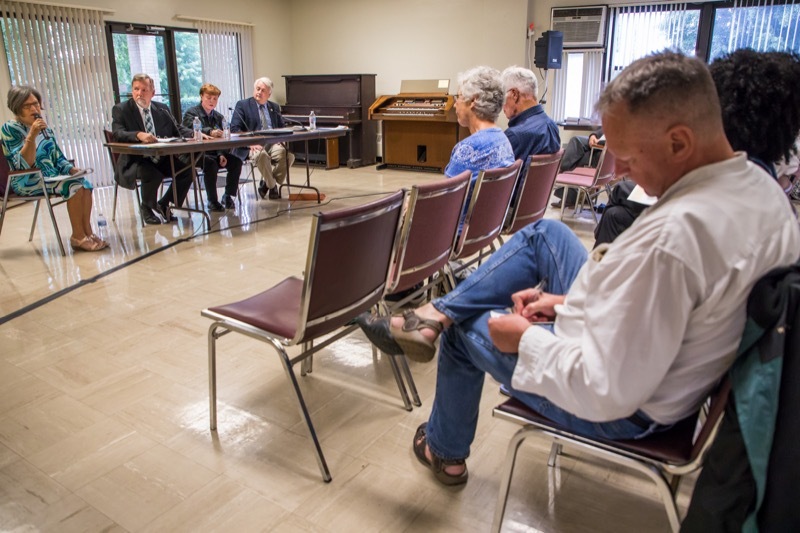 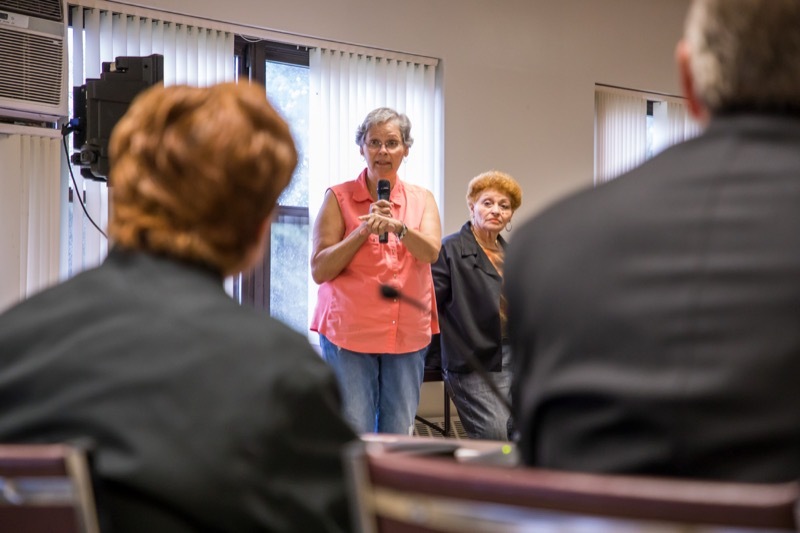 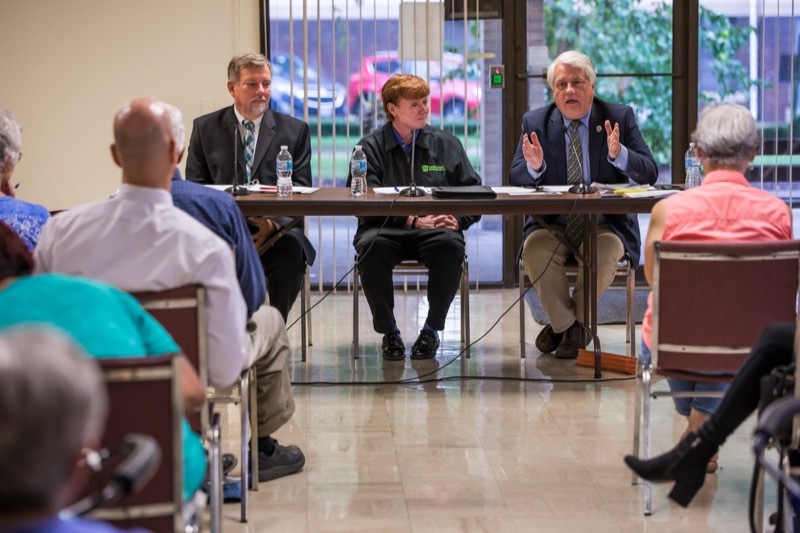 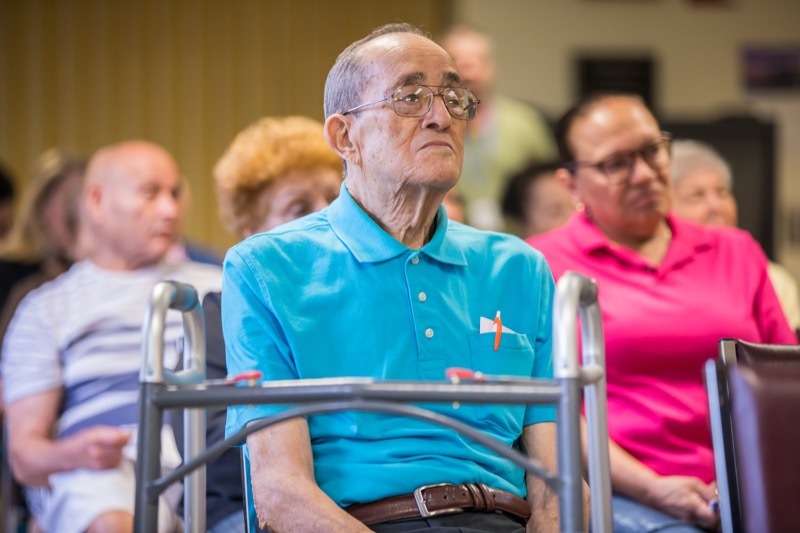 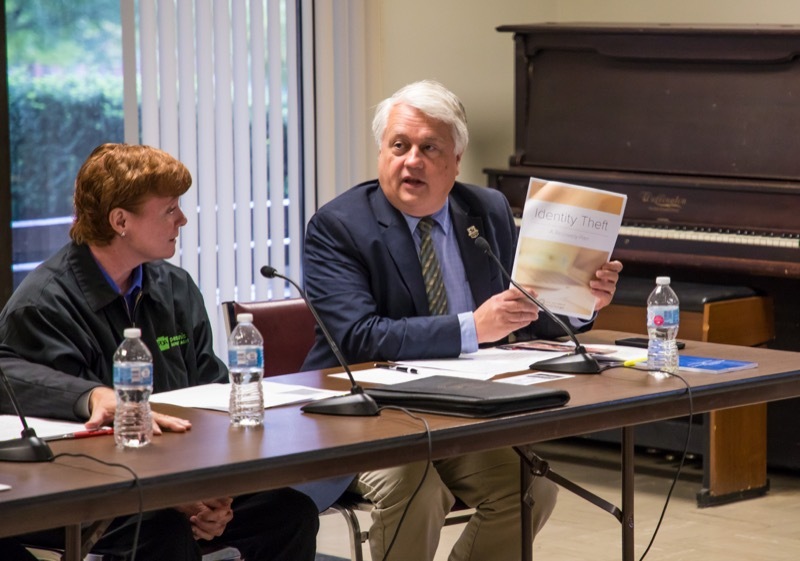 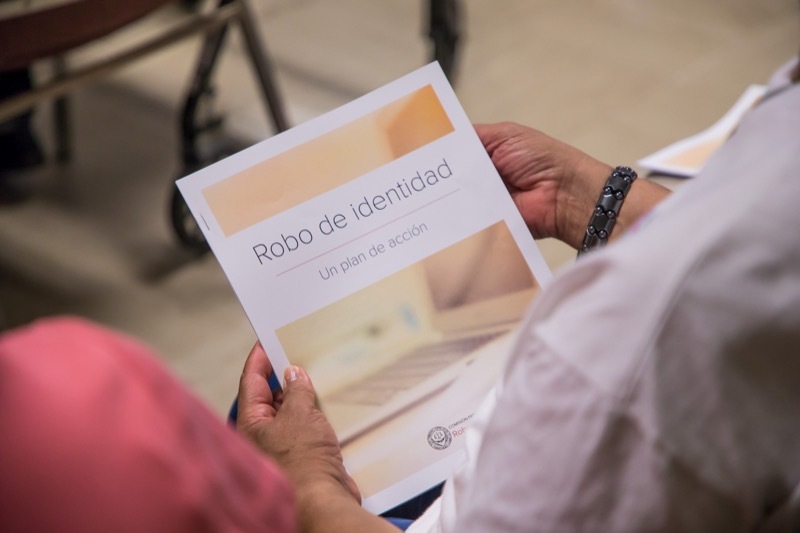 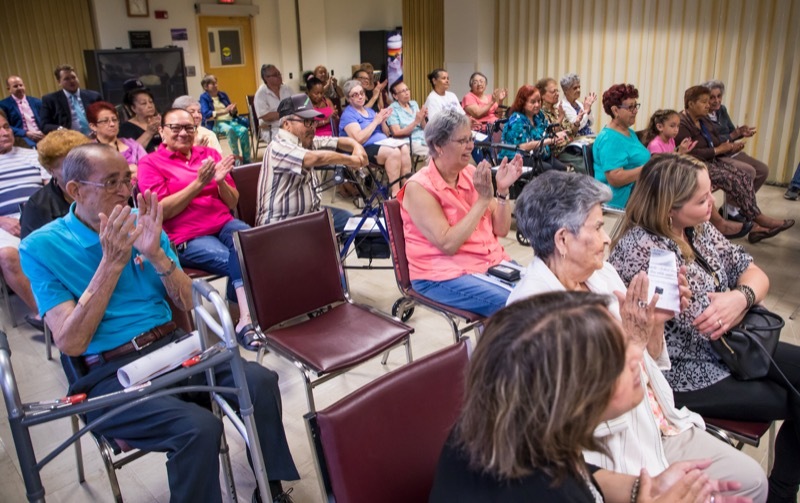 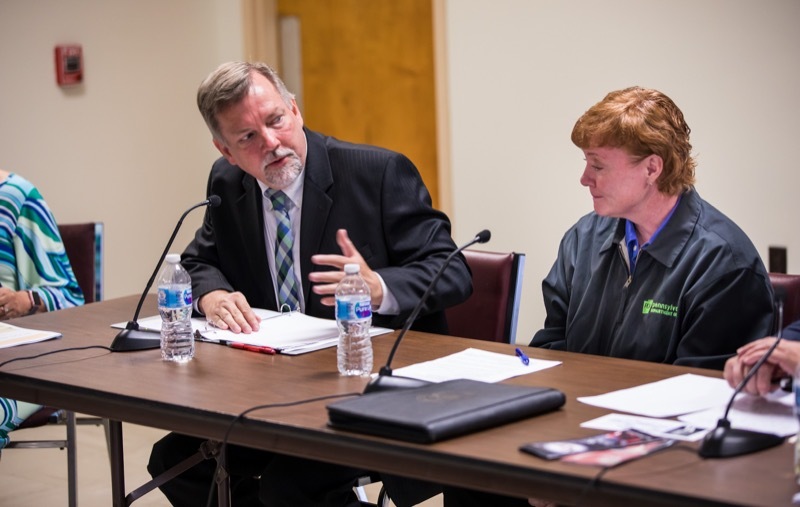 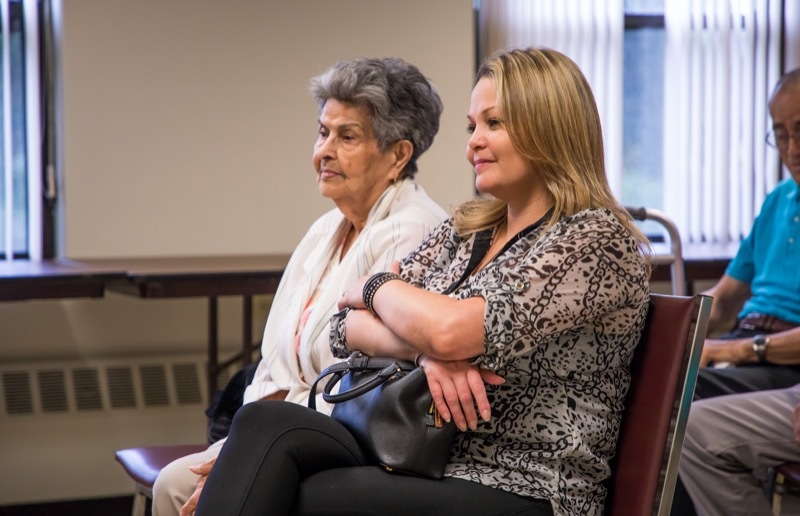 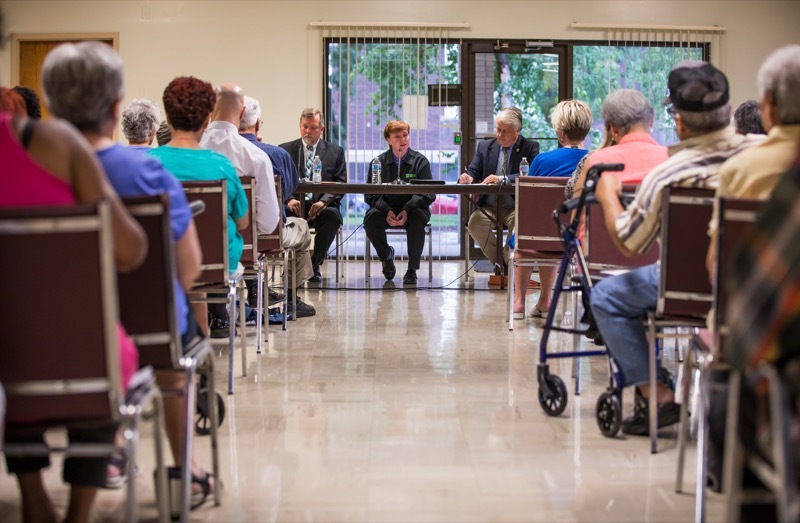 Secretary of Aging Teresa Osborne, Revenue Secretary Dan Hassell and Rep. Steve Samuelson today visited the Andrew W. Litzenberger House to lead a community discussion on how older Pennsylvanians can avoid falling victim to fraud and scams. 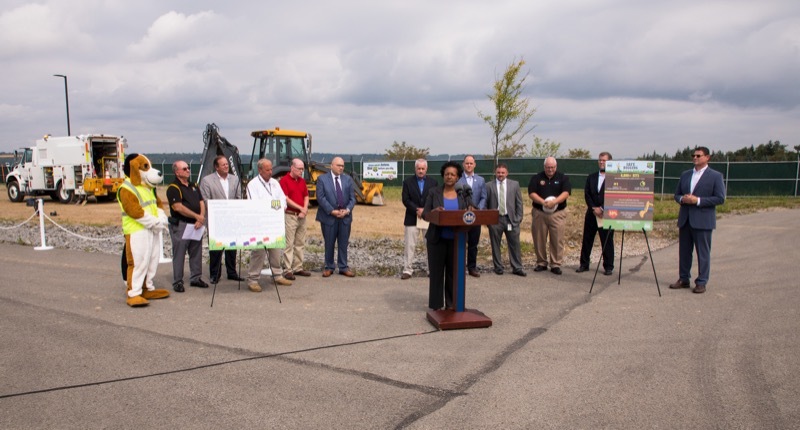 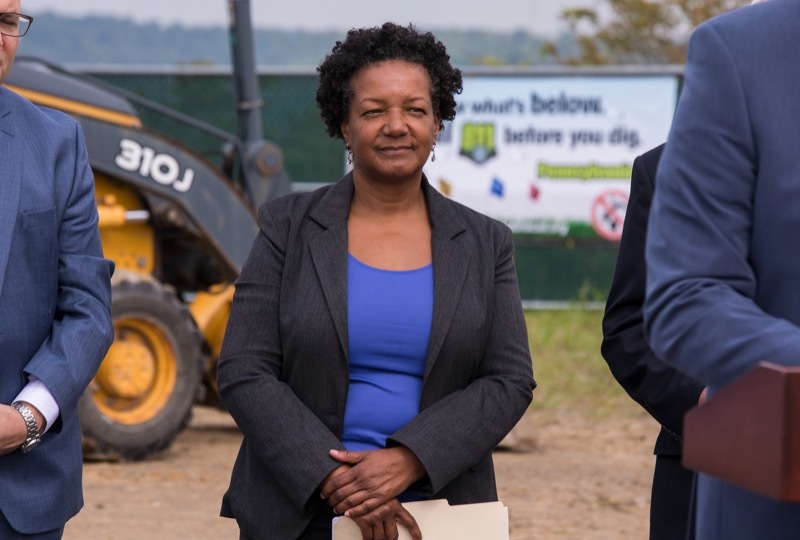 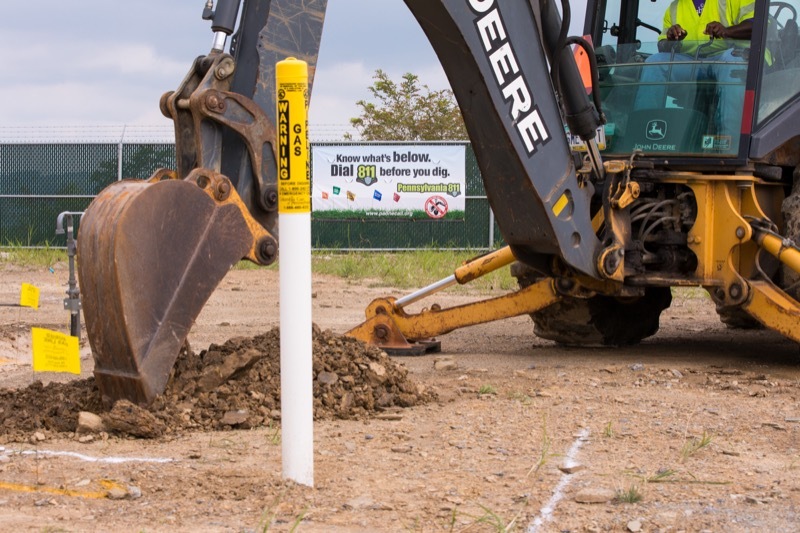 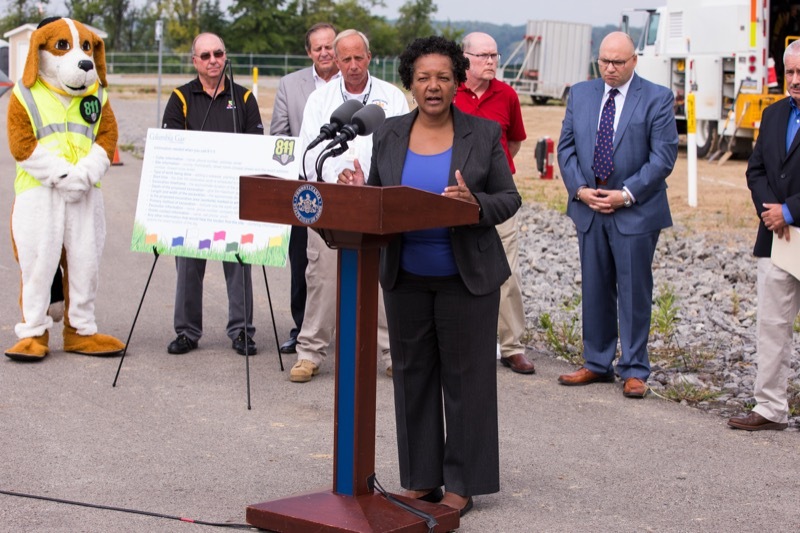 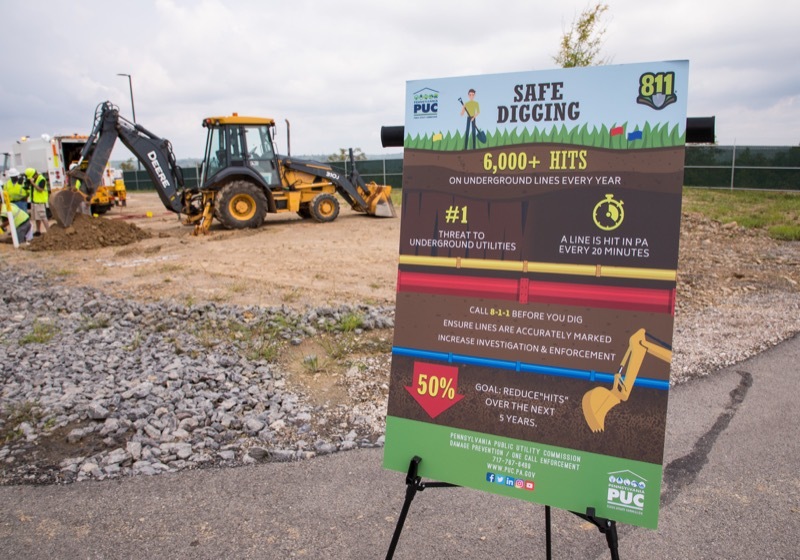 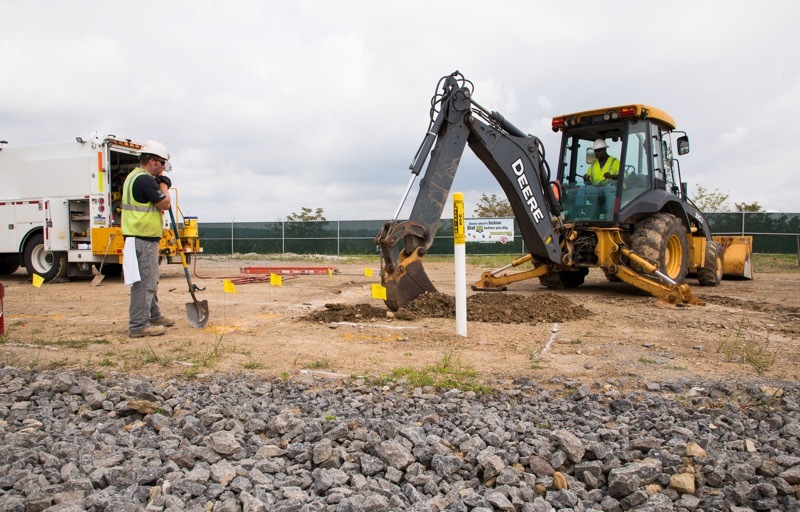 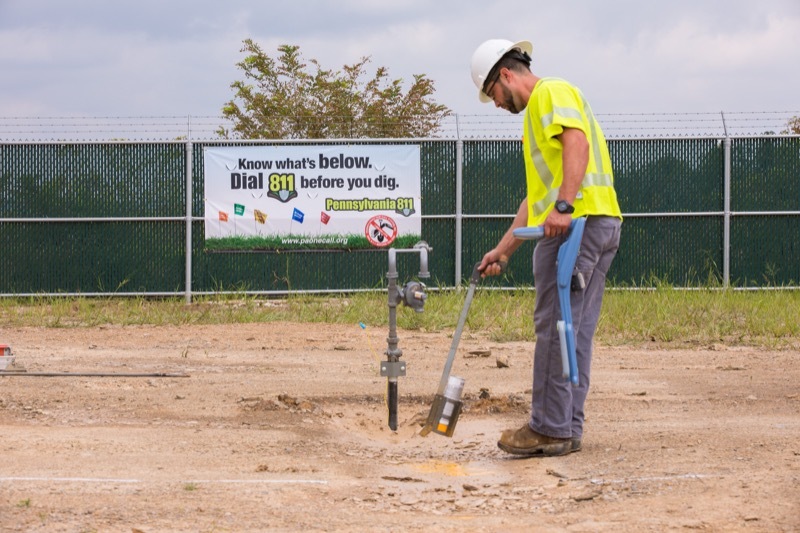 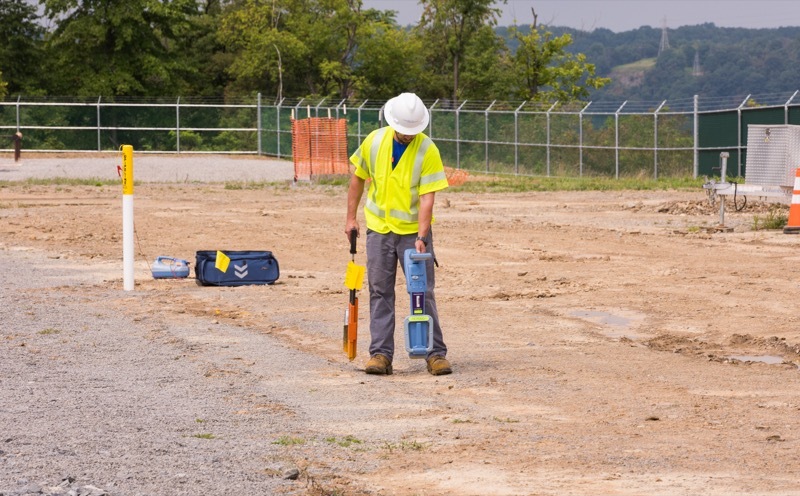 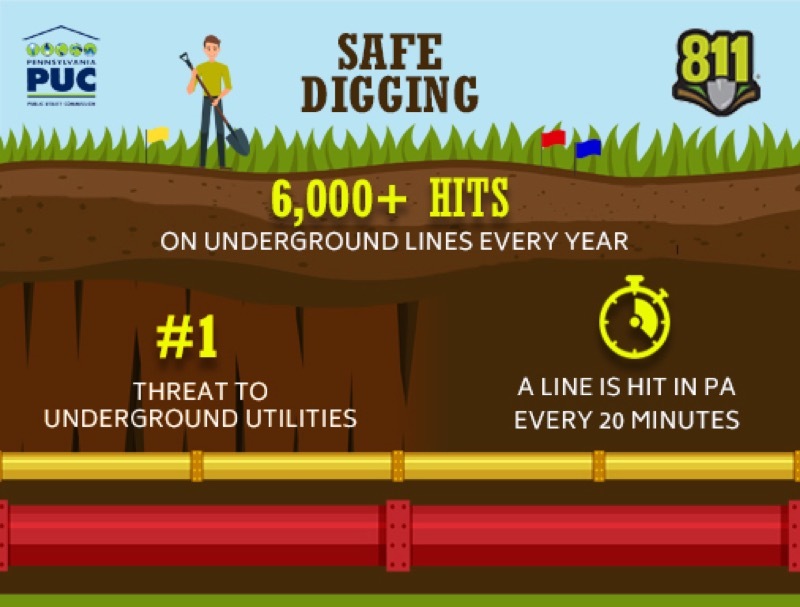 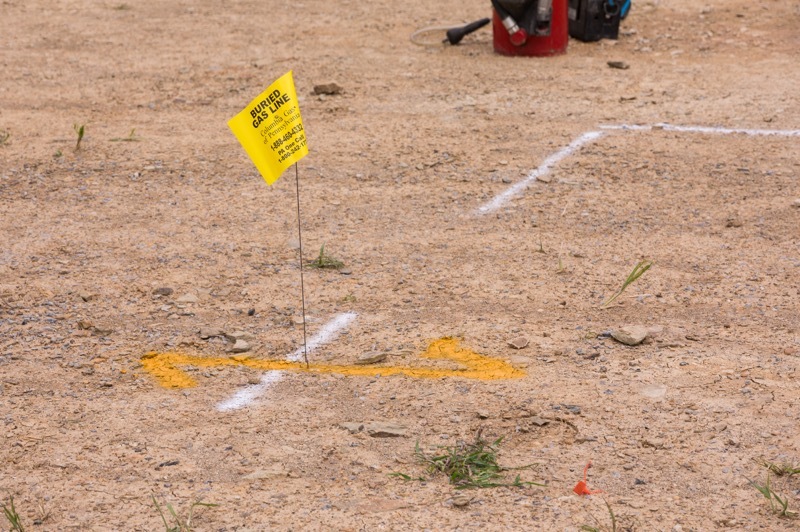 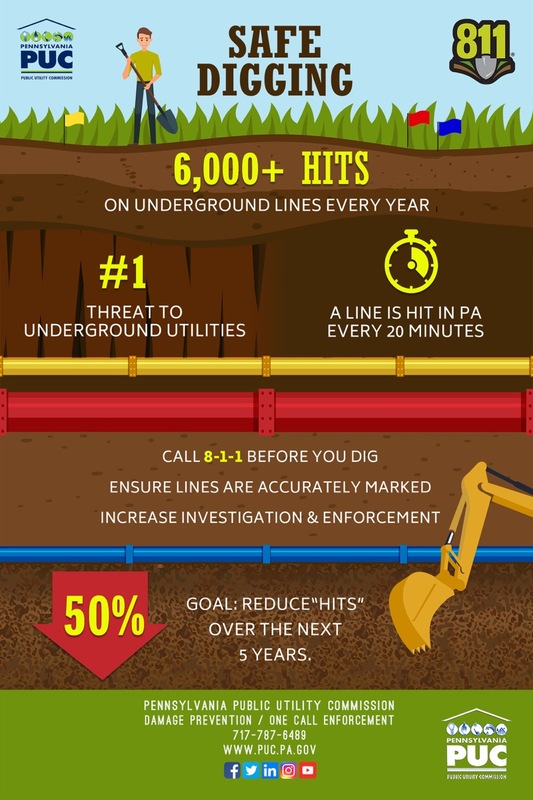 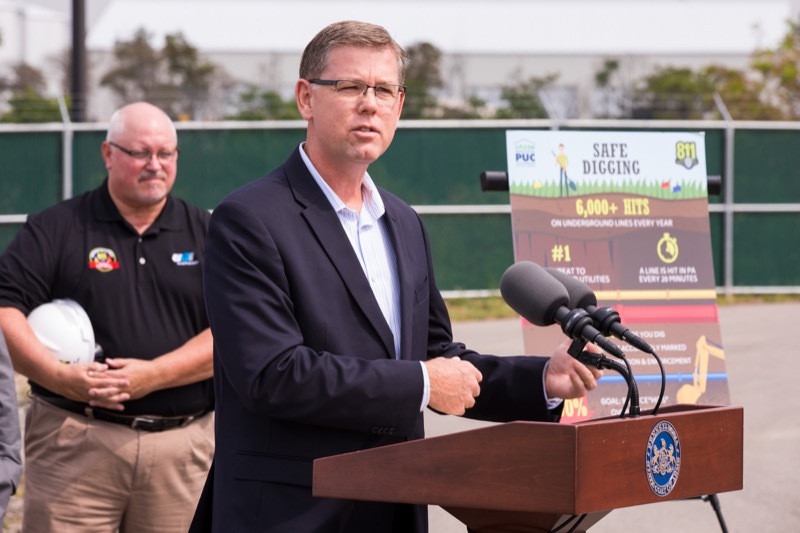 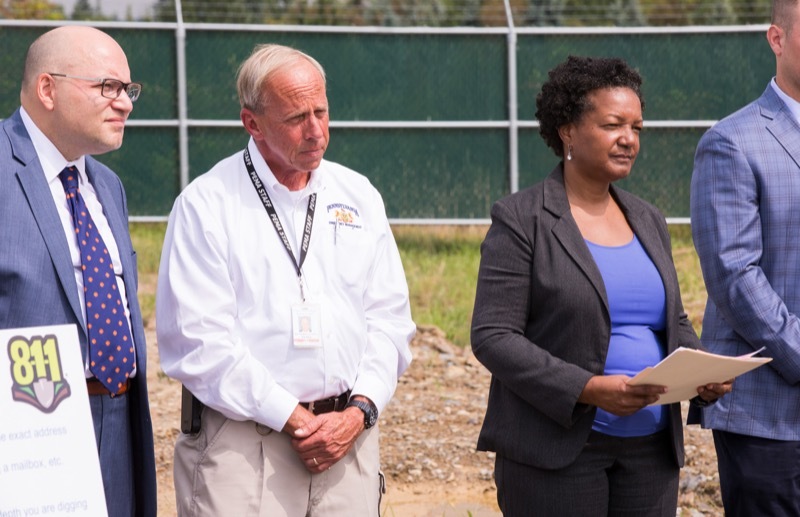 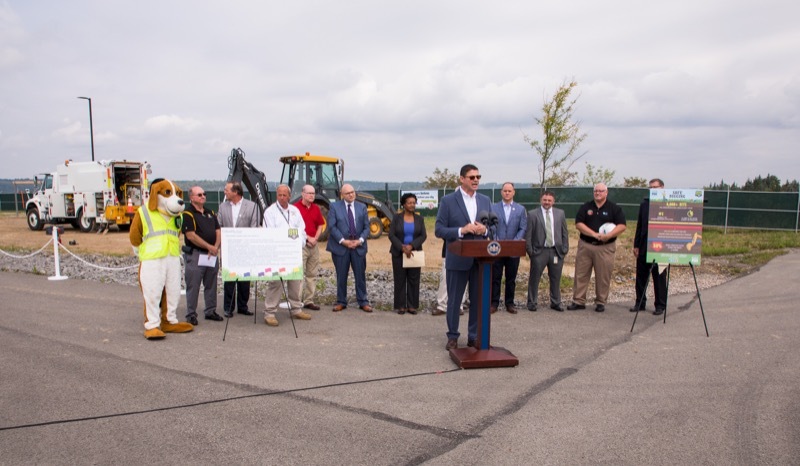 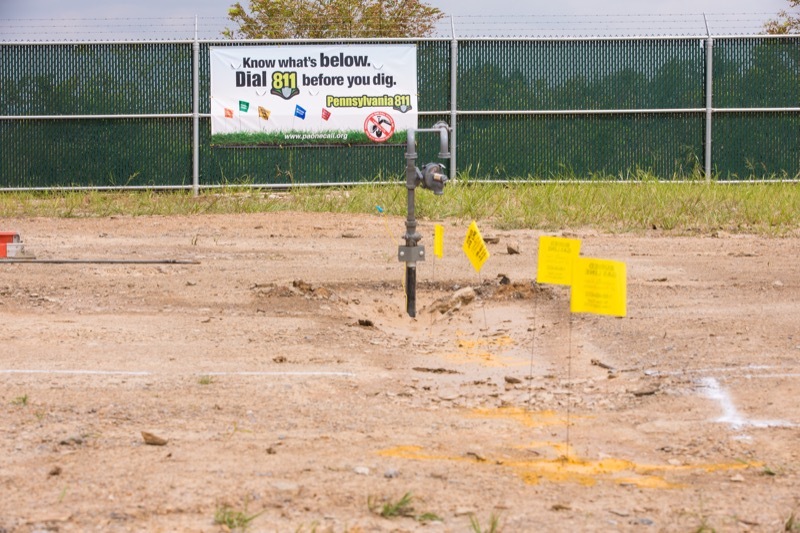 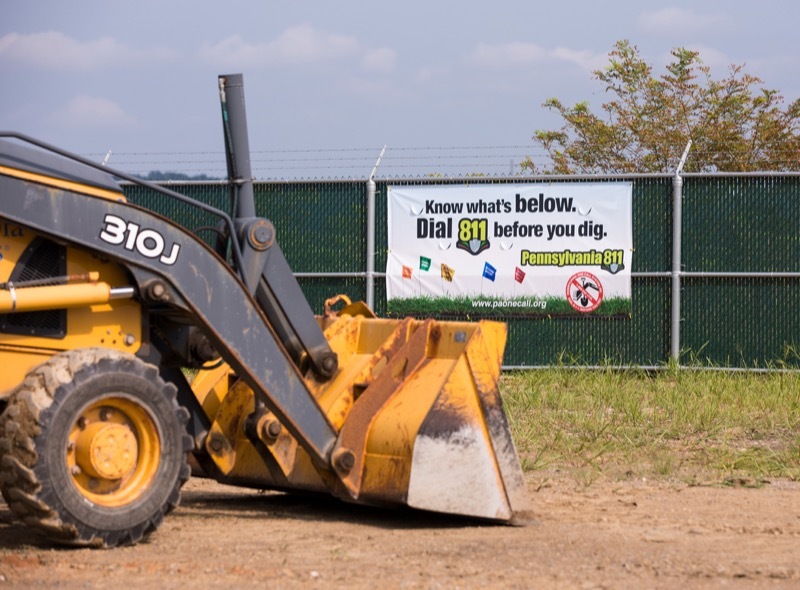 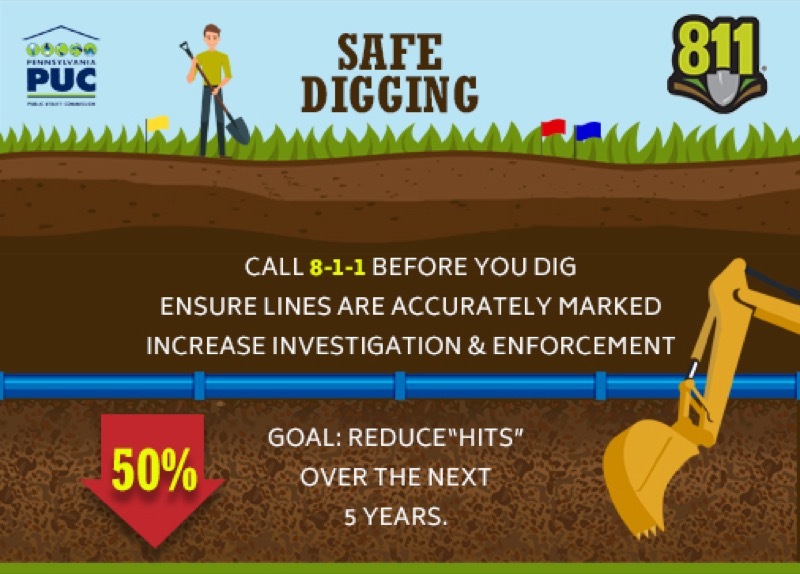 Pennsylvania Public Utility Commission (PUC) Chairman Gladys M. Brown today joined with utilities and agencies from across the state to stress the importance of #SafeDigging - at job-sites and at home - including the need to call 8-1-1 before any digging project to ensure that underground utilities are properly located and marked. 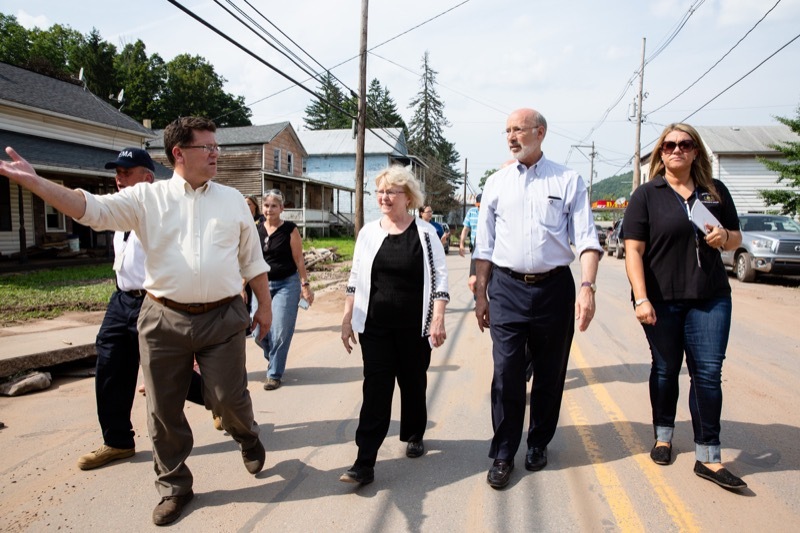 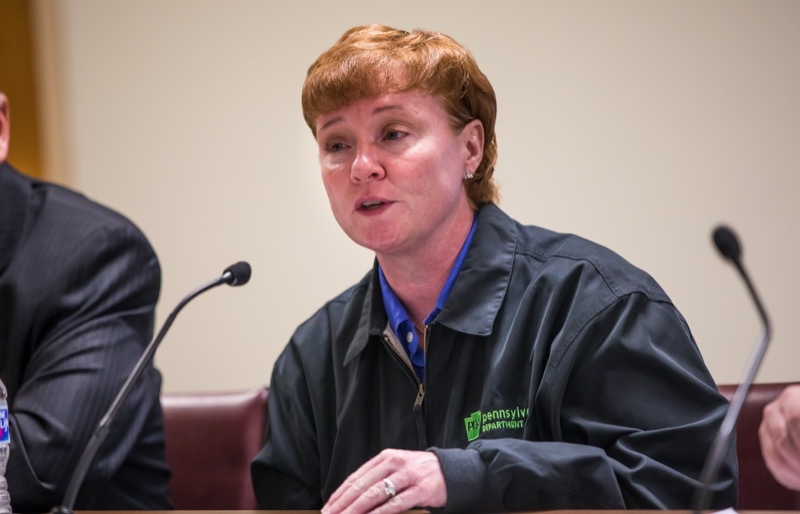 The Wolf Administration Wednesday demonstrated the importance of staying active and physically fit during a walk on the downtown Harrisburg WalkWorks route, which traverses nearly one and a half miles through the city. 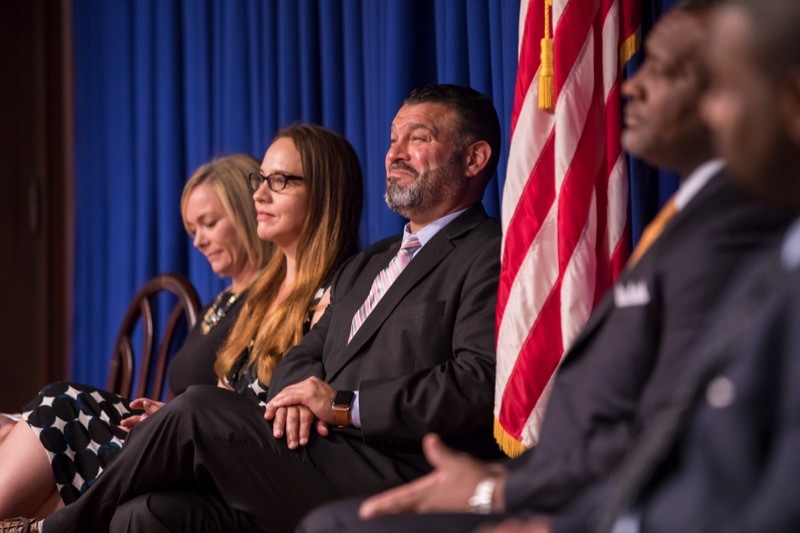 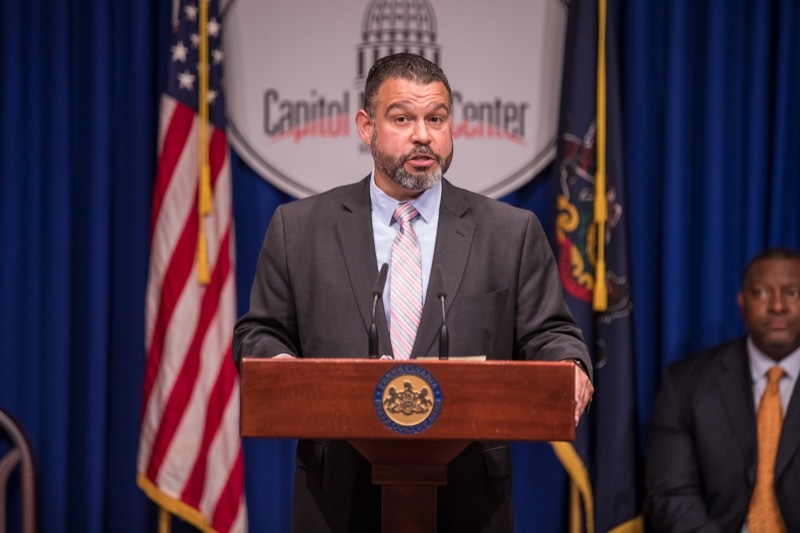 As part of Governor Tom Wolf's plan to help schools and improve education across the commonwealth, superintendents from Pittsburgh, Juniata County and Allentown joined Department of Education (PDE) Secretary Pedro A. Rivera today to highlight their early participation in Pennsylvania's comprehensive System for District and School Improvement. 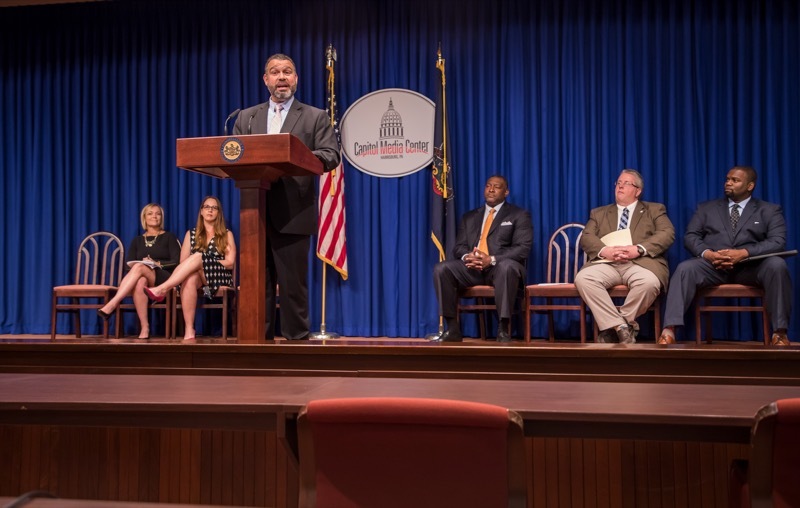 Harrisburg, PA - As part of Governor Tom Wolf's plan to help schools and improve education across the commonwealth, superintendents from Pittsburgh, Juniata County and Allentown joined Department of Education (PDE) Secretary Pedro A. Rivera today to highlight their early participation in Pennsylvania's comprehensive System for District and School Improvement. 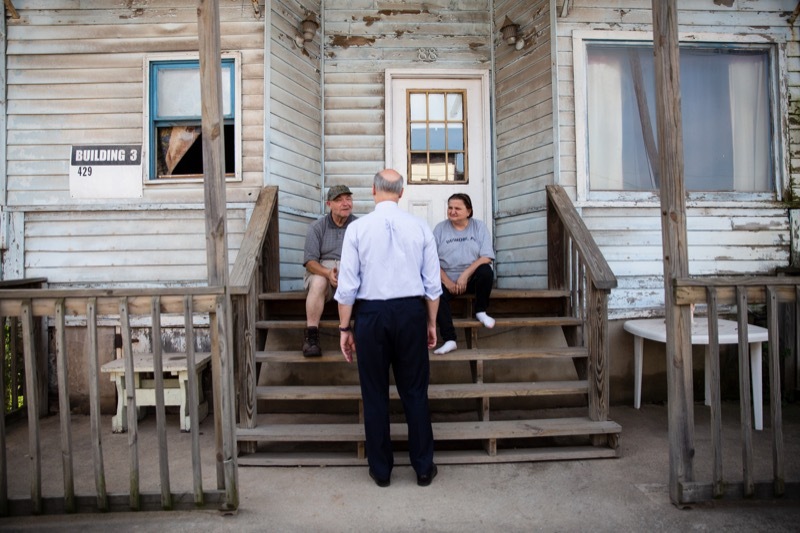 Governor Tom Wolf sat down today with grandparents raising grandchildren as a result of the opioid epidemic, listening to their concerns and renewing his call for passage of legislation aimed at removing barriers to obtaining state services and supports.